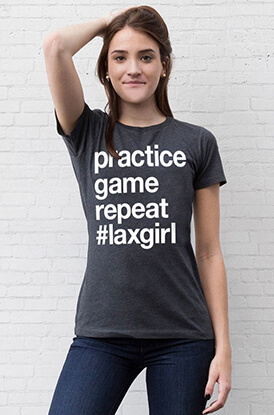 Lacrosse isn't just a sport to many it’s a way of life and what better way to express that lacrosse passion with our lacrossse short sleeve fitted tees. The slim women's fit T-Shirt is slightly heathered with cap sleeves for a great looking T-Shirt that pairs well with anything from athletic wear and leggings to jeans and shorts - perfect to layer for the field to everyday wear. 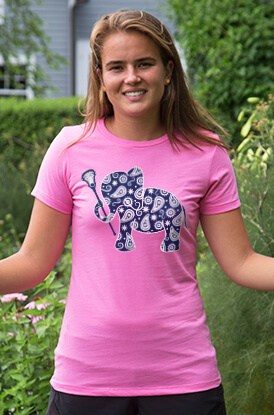 Girls Lacrosse Women's Everyday Tee - Eat. Sleep. Lacrosse.